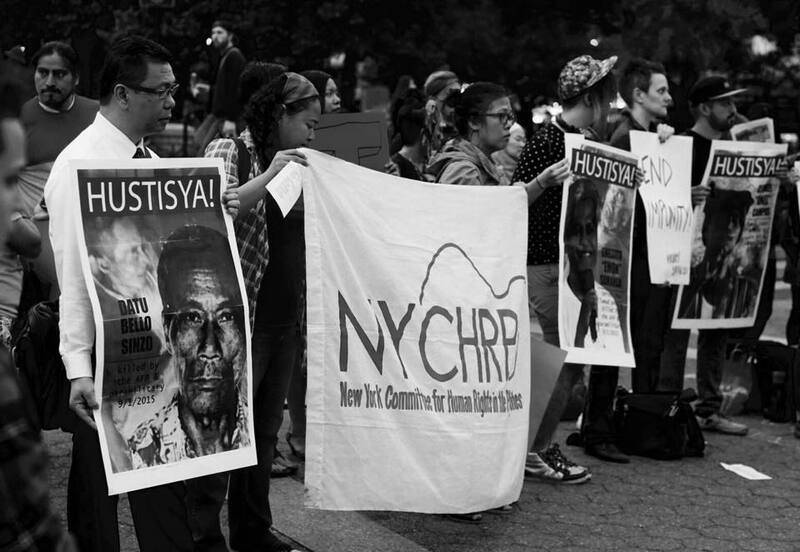 NYCHRP participating in internationally coordinated action led by International Coalition for Human Rights in the Philippines (ICHRP) to bring attention to the systematic killings of Lumad people in Mindanao. Union Square, NYC. Photo Courtesy of Balitang New York.